LOS ANGELES – ADJ is proud to announce the immediate availability of the new 32 HEX Panel IP and 32 HEX Panel IP Pearl. These truly flexible high power LED fixtures offer multi-function wash, blinder or strobe operation from a compact IP-rated unit. 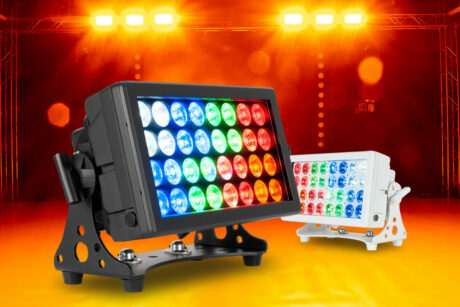 This makes them ideal for a wide variety of professional lighting applications including concert stages, nightclubs, festivals and other outdoor events.